Hawai’i Police Department detectives have charged a Puna man with escape and credit card offenses. Andrew K. Silva, 19, was charged Wednesday night (September 30) with one count of escape, one count of theft of a credit card, one count of fraud use of a credit card, and two counts of theft in the third degree. 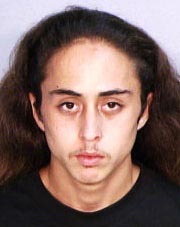 He is being held at the Hilo Police cellblock in lieu of $5,000 bail. Silva was identified on a surveillance video using a stolen credit card at a Puna convenience store. He was arrested Wednesday and transported to the Hilo police cellblock. While being transferred, Silva briefly escaped from custody. Hilo patrol officers located him on Osorio lane and arrested him.